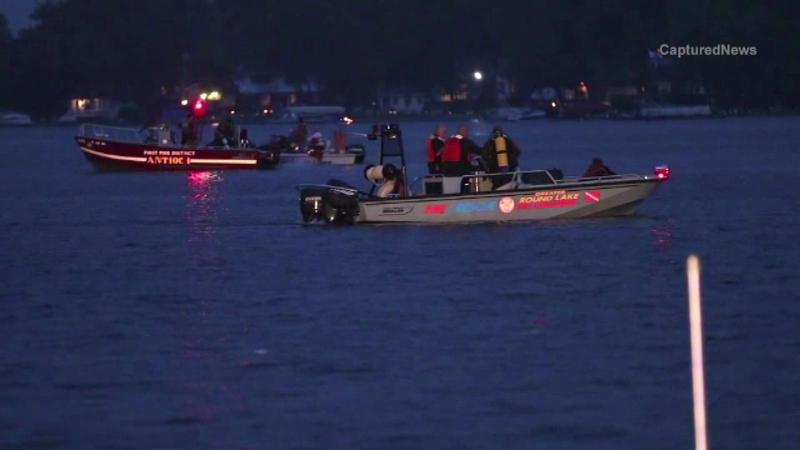 Divers are searching for a man missing in West Loon Lake in unincorporated Antioch Township in northern suburbs. ANTIOCH, Ill. (WLS) -- A 46-year-old man drowned trying to save his cat after the canoe they were in capsized near far north suburban Antioch, investigators said. The man was in a canoe on West Loon Lake with another man, a woman and a cat in unincorporated Antioch Township on Sunday. The Lake County Sheriff's Office said the cat went into the water just after 7:45 p.m. A man jumped in to try and save his pet, causing the canoe to capsize. The other two people fell into the water. They were both rescued. The man who went in after his cat never resurfaced. Divers found his body just after midnight, officials said. His name has not been released. The sheriff's office and the Illinois Department of natural Resources are investigating.